This images continues my fascination with blurring the boundaries between plant an animal. 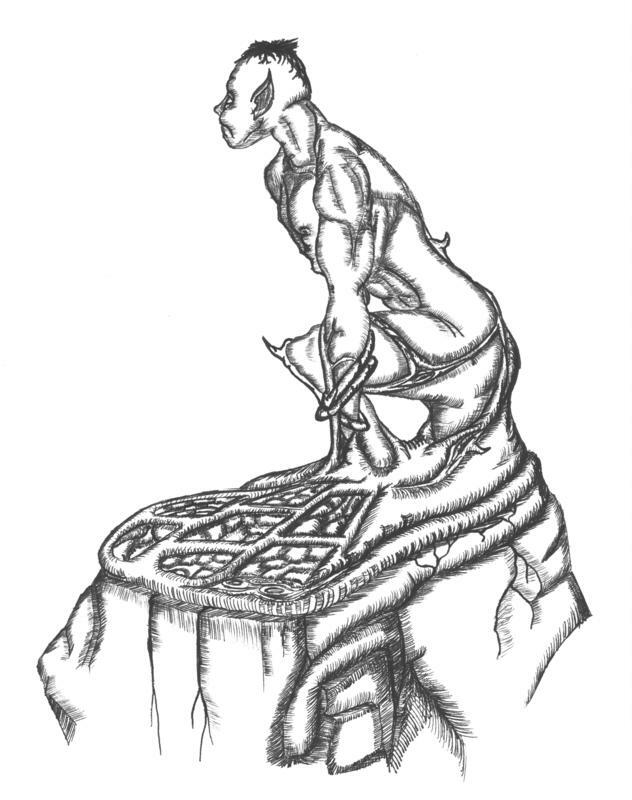 It began merely as a hunched humanoid figured ensnared in vines, but I did not really know where I wanted it to go, so I opted to just let the image expand downward and transition from animal, to plant, to rock. What had begun as a content-centered (representational) image became one focused more on line quality. I still like some of the transitions.